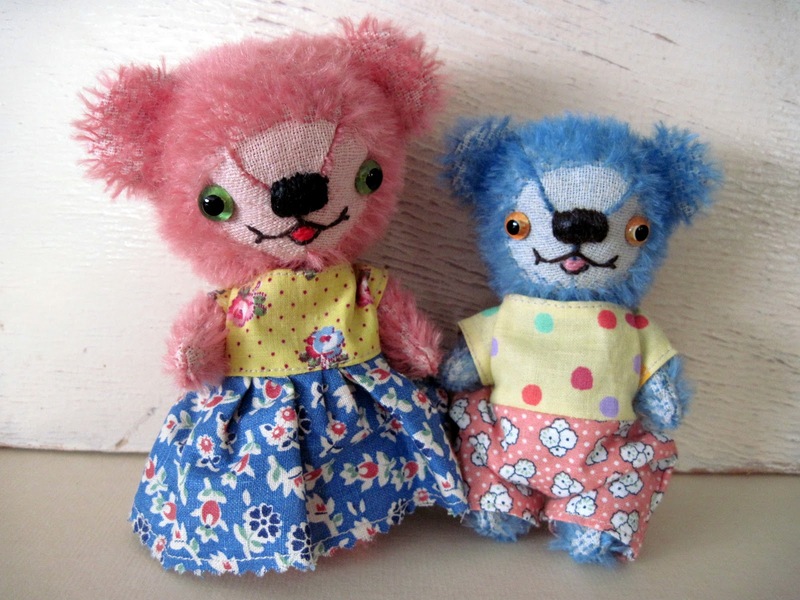 Just got a couple of new tiny teds in bright springtime colors by one of my favorite artists, Peng Peng. They feature lusciously colored mohair, quirky faces, and adorable little outfits. 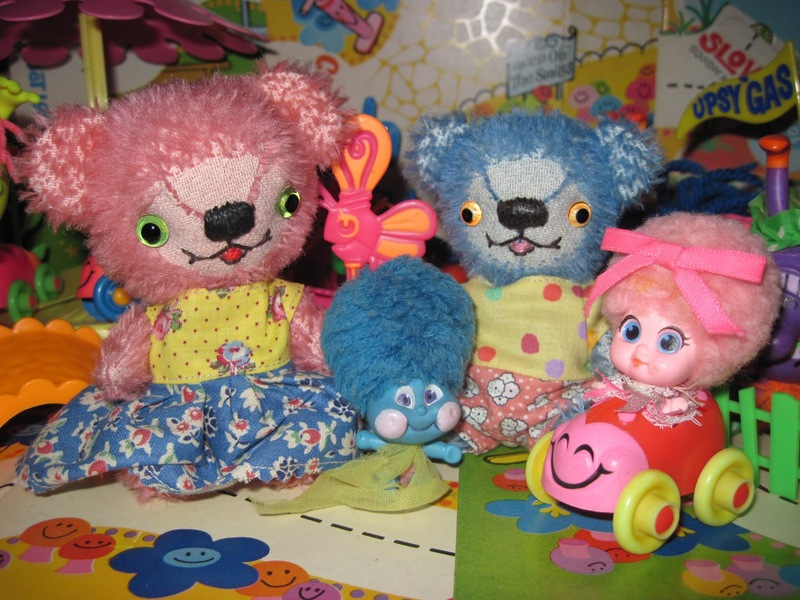 The blue bear is just 4 inches tall! "We're feeling rosy and blue today, respectively..."
They're so adorble Tracy! And they sort of fit in with the "Upsy Downsy" folks! I have some pics to load onto the computer one day of those Liddle Kiddles! I keep forgetting! i just LUV your little displays and so glad to see the bears having a fun and crazy time! Happy Valentine's to you and your amazing toyland! Hahahahaha...that's funny! It's not corny at all "Peng Peng"...you're the artist and you should make a comment...they do look very happy don't they? All the bears that go to live with Tracy do have a wonderful life indeed!